Tickets are $35/pax and include a $10 BuySinglit voucher. The terrarium workshop will be led by Jason and Joy who have had more than 5 years of experience creating and caring for terrariums. Marc's poetry performance—interspersed throughout the workshop—draws from his latest collection of poetry "Vital Possessions" which reflects on city-dwellers and their uneasiness in a world where nature is both man-made and natural. 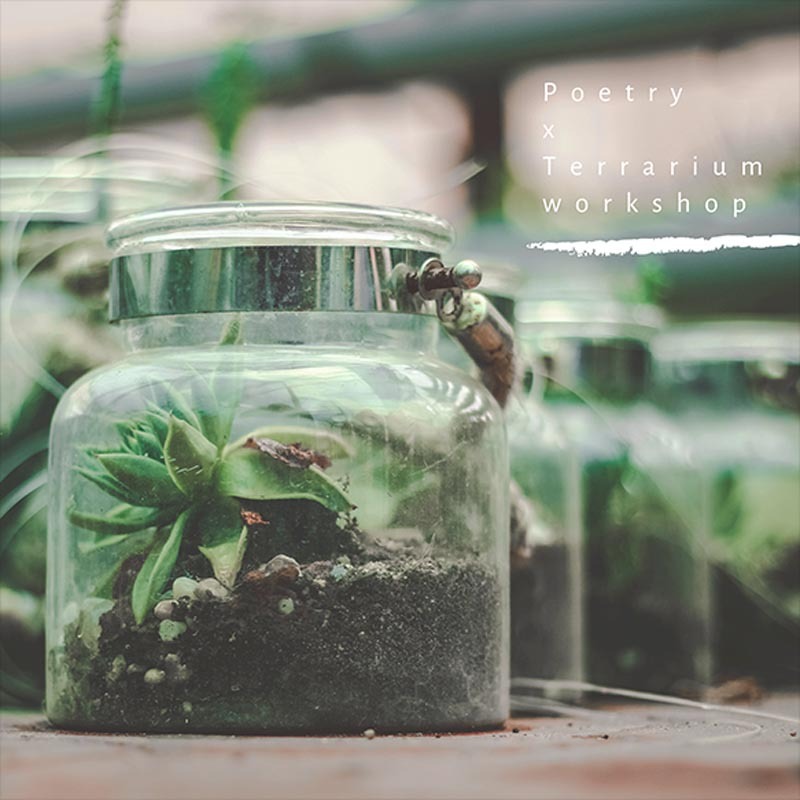 Come join us for a meditative afternoon and take home a beautiful terrarium inspired by poetry (and be able to care for it). If you can't make it for the 17th, fret not! Another session will be taking place on the 9th of March at The Hive Carpenter. Shout-out to Plain Vanilla Bakery for generously sponsoring their beautiful venues for the workshop.